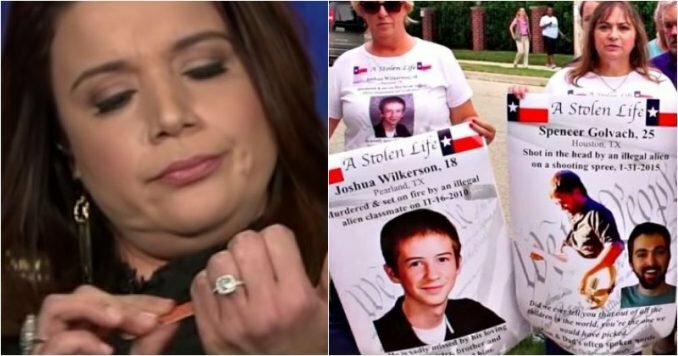 Ana Navarro is yet another ambitious InfoBabe (thank you, Rushbo) who has created a lucrative, cozy niche in the MSM as a Trump-hating RINO refugee from Nicaraguan Communism. If the masquerade of tempest-tost wretched refuse works for newly-arrived Islamic fanatics to Congress, it’s catnip for Ana. The Grateful New American bit serves as a very poor cover for what is now undeniably another ugly, contemptuous face of the America-loathing Left in the media. Navarro’s recent nail-filing foray into partisan journalism should be her last, but it may actually keep her prominently in the public eye as long as she can play Mme. Defarge to the electronic rabble that gobble up her hateful, anti-Conservative bile like popcorn. 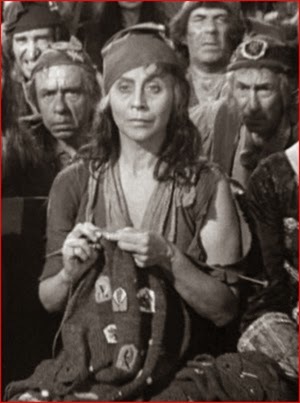 Replacing knitting needles with a emery board, we are treated to a so-called journalist showing her proudly disinterested disdain for the very real problem of illegal immigration and its lethal consequences for thousands of innocent Americans. Contentedly watching those decapitated heads roll.